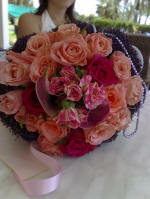 The flower arrangements below are an indication of what is available in Cyprus. Of course they vary with the seasons. 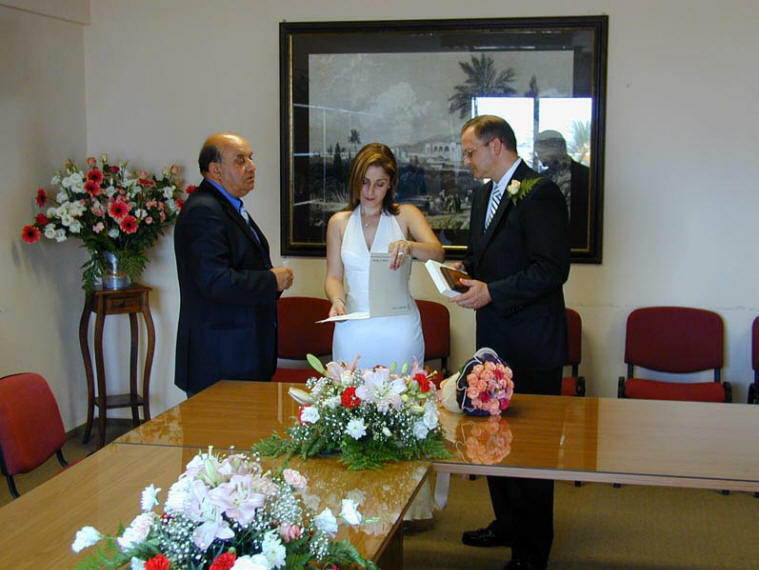 The pictures here were taken in response to requests to show some idea of the range for weddings. This is not hard and fast and is meant as a general guide only. 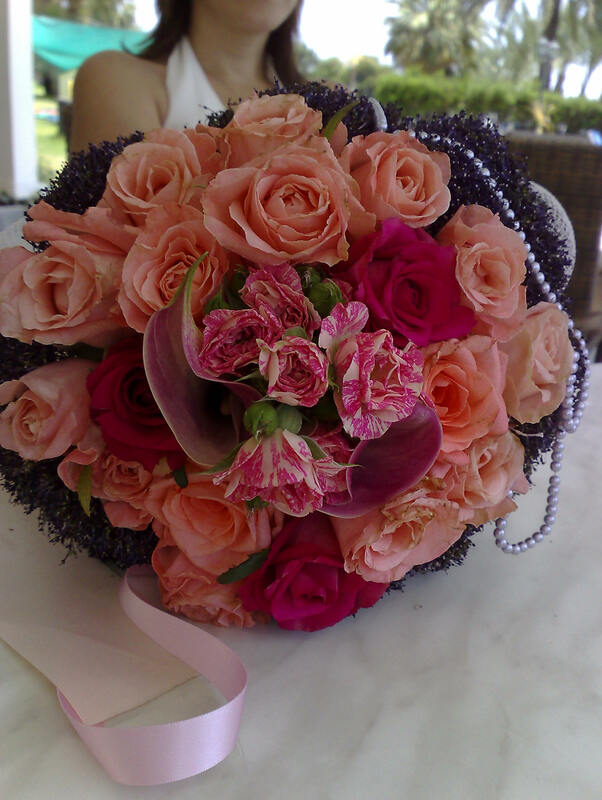 But these are the kinds of flowers you can expect to find receive from Cyprus flowers. 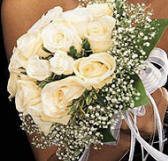 We provide also special ordered wedding bouquets, for your special day. To see more of the flowers offered by Cyprus Flowers, a variety of wedding bouquets, posy's, corsages and Arrangements take a look at wedding flower orders but bear in mind that all our arrangements and bridal bouquets are made up using the available flowers, so the artistic licence involved means that unless we are working to a template or photo, each bouquet is unique and individual.